You must make reservations at least 5 minutes in advance of the time at Branch & Bird. 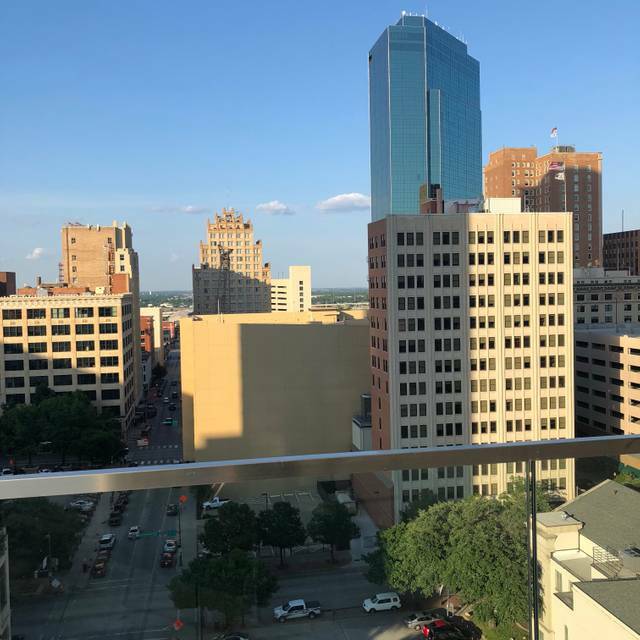 We validate parking for the Frost Tower Fort Worth garage, located off of 5th Street between Lamar Street and Taylor Street. Eastbound on 5th Street, turn right into the garage. Upon your in the garage or lobby elevator vestibule, push Sky Lobby Level option on the touch screen panel. Now offering Happy Hour with featured drinks from 4:00 - 6:30pm Tuesday - Friday! Our Monday Hours have changed and Happy Hour with Limited Food Menu will be from 3 - 7pm! Save the Date for our Second Sunday Brunches this spring: 3/10/19, 4/14/19 and 5/12/19! * Due to high demand and limited seating, we recommend that guests interested in patio seating make reservations if visiting for cocktails, mid-day or evening service. Wait times without reservations could be as long as an hour or more. The ambiance feels like a mix between and airport and an office building lunch cafe. It does not have a fine dining feel. It all starts with a large sign advertising grab and go. Then seating feels cheap and cold. Also, the menu is sparse and wine list minimal. I’m sure it is fine for a a quick business lunch but not a dining experience. Good food but limited menu. Mostly a sandwich/salad place. We did have problems using the parking garage. The gate would not open until we used the Help button and spoke to security. Parking is free with validation of the parking ticket by Branch and Bird. Upon leaving we had to enlist a security guard to find our car since the building elevator choices were confusing. The free parking is definitely a plus once you navigate the garage. Vincent (apologies if I got your name wrong) and his staff were amazing. We spent a total of 6 Hrs. 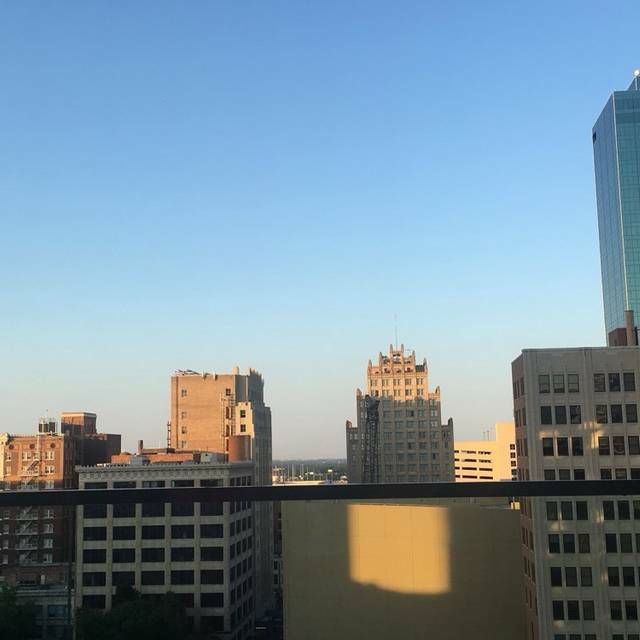 on the balcony on one of the couches, sipping the night away, watching the sunset and enjoying the moment. The food was incredible and the cocktails were spot on. I'd recommend this place to anyone and everyone that would listen! Great atmosphere. The food was good. High price for food and drinks though. Like eating in a corporate cafeteria or holiday inn express. The food was overpriced for a lunch menu. Feel we paid for the atmosphere. Quality of food was good, toasted bread was too dry for the chicken sandwich. Quality food and a nice set up. I finally returned to Branch & Bird for the first time this year for a business lunch, since they originally opened. The restaurant has come a long way since then! The atmosphere is wonderful. The service was perfect. The food was also significantly better than originally. I will be back more often. Thanks to Open Table, I remembered this restaurant that is "above" the beaten path of Downtown Fort Worth. It was nearly empty and it took 10 minutes to get seated. Service was slow & it took awhile for them to get us our drinks & refills. I think I was just an off night (even if it was a Friday night at 7pm)— I will try again because the food was good & I would like to sit on the porch on a nice warm night. E for lunch with friends. They like it too. Went for brunch and the food was very bland. I do not think it's worth the money minus a nice view. Service is also slow deapite only a few tables occupied. there were only one other occupied table in the restaurant yet the table we attempted to sit at was dirty. the hostess seated us and then nobody came by for over 15 minutes despite there being nobody in the restaurant. the hostess was hanging out with staff and didn't even try to pick up slack for the waiter even though he wasn't busy. and he walked passed us once to handle the other table and still never popped by to say hi, bring water etc. we left. Food wasn’t great, quality was in question. Ambiance was nice, service was excellent. Table setup and presentation made food awkward to share even though lack of entrees on menu steered you to do so. 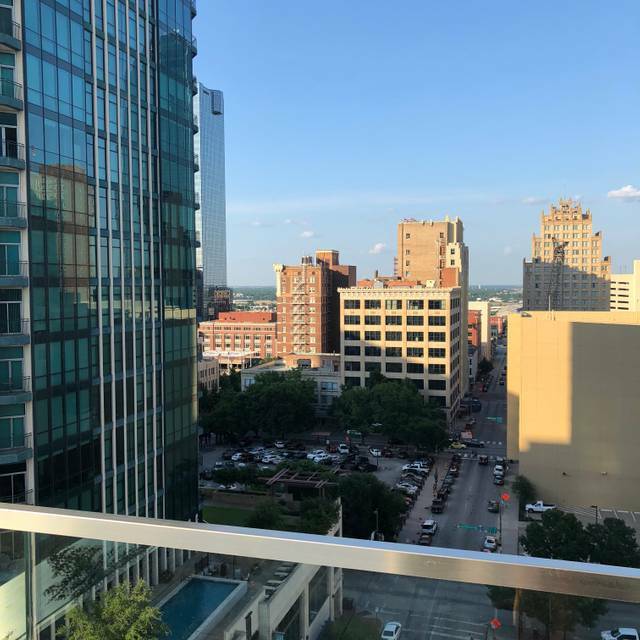 Very nice restaurant with good ambiance, service, food, drinks and views of downtown Fort Worth. Great place to have a romantic or just friendly reunion. Happy hour experience was lovely. Great menu options. Very pleasant atmosphere and service. Outstanding views. We would like to have the option of a bar space to visit and not worry about seated reservations. This place was nice! The weather was perfect and the staff was amazing 😉 I’ve already recommended to all of my friends! Thank you for having us. Early St-V day. Nice sunset. Great service and Special Valentine’s Day menu was excellent. The only issue we had was as the Ft Worth night emerged...the indoor lights wiped out the view. We asked if they could dim some of the bright lights...not a significant change. Recommend going — I’m sure the warmer climate will all use of the great patios. Service is way too slow. 10+ min to get 4 drinks is ridiculous. Thank you for taking time to post a review and we appreciate you visiting Branch & Bird. We are investigating our service and ticket times to ensure this doesn't happen to you or any other guest again. We work hard for satisfaction and we hate to hear we didn't meet or exceed your expectations. Again, thank you for your feedback. We hope to see you back again. Great shareable plates. 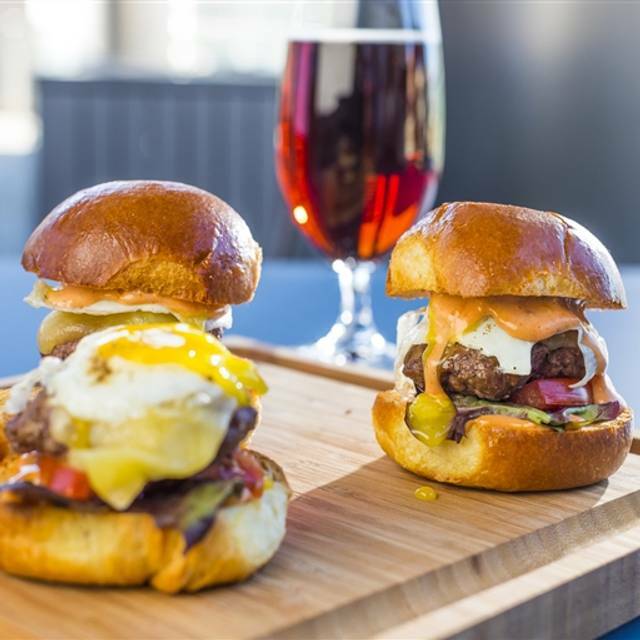 Sliders were the hit of the table after we heard other tables raving about them. $5 martini and old fashions on the happy hour specials. Cool music and modern vibe. I took my office there today for lunch and plan many more meals there. Food was good. 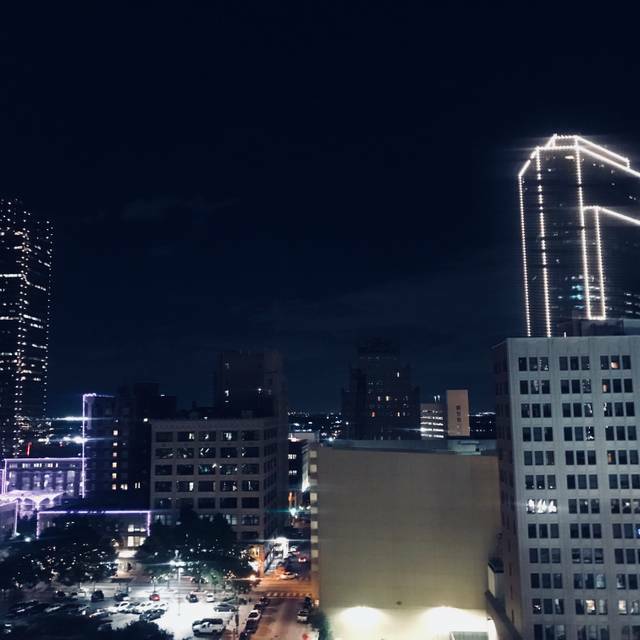 Loved the view of downtown Fort Worth. Oh this was great!! I had the Club and My Dad had the Cobb. It did not appear that there was dressing on the Cobb so ask. They were both Wonderful!! Good food, great service, easy access with tower parking validation. The food is well prepared and fantastic. Perfectly sized portions. Service is outstanding. It is a bright, clean modern restaurant. Simply outstanding. We will return frequently. The food was "just okay", the portions were very small for the prices paid. 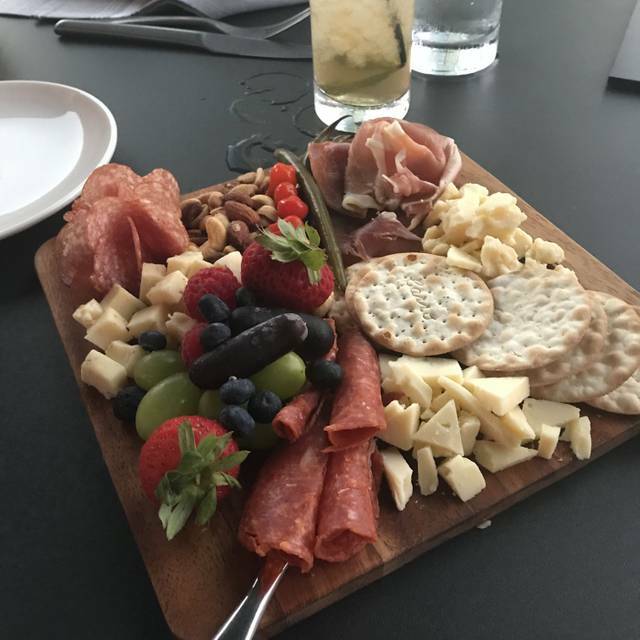 Almost entire party ordered trio salad plate but were never offered bread or crackers to go with it. For most of our time there, we were the only party dining. In good weather, I think the outside patio would be fantastic for a drink and an appetizer. Too many great places in Fort Worth to dine that are better than this. Our first time and the first words from our server was “I am so sick”. We should have just left. The server could not describe or suggest menu items. Food was good but the atmosohere of eating in a bank lobby was not a great experience. Probably a better experience when weather is warm and can eat on the terrace. I had the chance to speak with the service team & Managers. I apologize for your experience, please know our server was fighting allergies and not a contagious cold or virus. I can see how she could be perceived as sick based on your interaction. We will consider allergies as possible illness in the future as your experience was negatively affected. 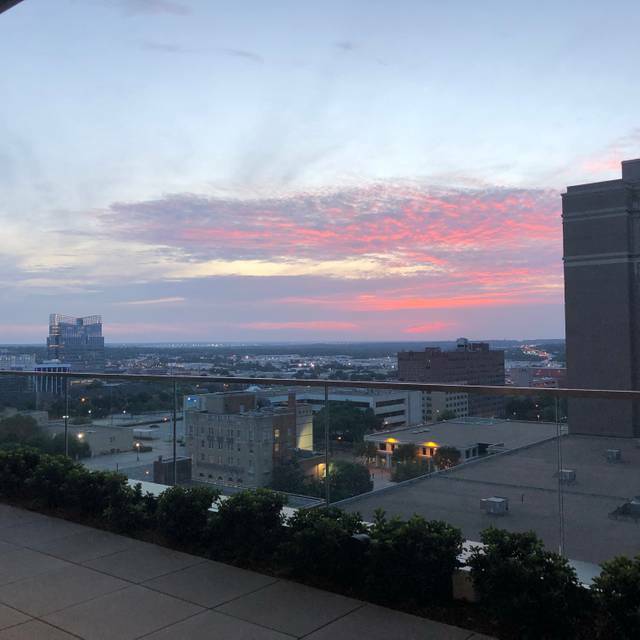 Check back during Patio Season, the view is phenomenal as we are on the Sky Lobby Level. Please note the bank is on the Ground Floor Lobby. Beautiful views and lovely atmosphere. We had a great Sunday brunch and would love to return. Really happy they had amazing coffee choices as well! Very nice place. Great service. Very attentive. Beautiful views of the Christmas tree in Sundance square. Really enjoyed the flat bread pizza. Can’t wait to go back. We can't wait to see you back! Thank you for visiting and we hope to have you again. Merry Christmas! 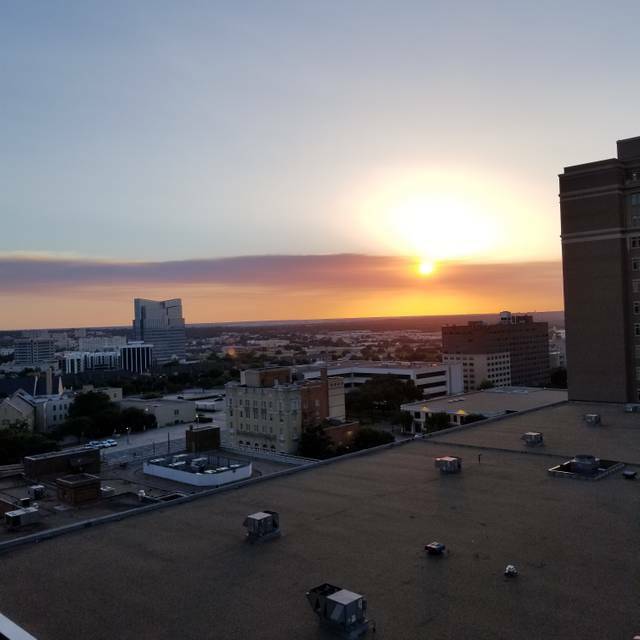 The service was great and the view has got to be the best view there is in Fort Worth. The food and drinks were amazing. I will definitely be going back soon. Great place for a delicious lunch. Glorious views and attentive staff made for a very enjoyable experience. Very disappointed in the food and service. Not a wide variety of food options and the wine was small pour for the price. Good food. Good atmosphere. 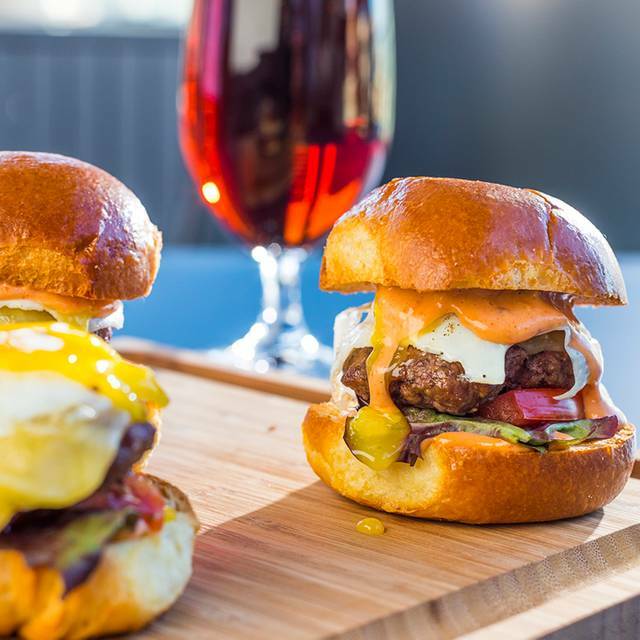 I especially loved the beef sliders. They were delicious. Friendly, attentive staff. Great food selection. Beautiful décor inside and out! Great food. The atmosphere and scenery was very enjoyable. The staff was by far one of the best I have experienced.